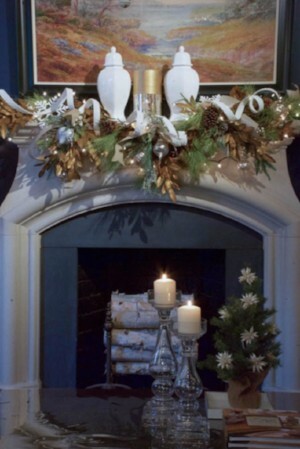 Christmas decorating... it makes me think about the Christmases of my childhood. I grew up in Kentucky in a large family and we spent each Christmas Eve at my grandparents’ house. Picture a shotgun house in Germantown in Louisville, KY crammed (literally!) with aunts, uncles, cousins and sometimes in-laws too! Believe me there were no “open concept” rooms in that house! My grandparents dining room held a huge table that could seat 8-10 people and that was about all you could fit in the room! My grandmother had hung her Christmas curtains, there was a tiered platter of cookies in the middle of that big round table and in the living room was a small table-top tree perfectly decorated. Presents were after dinner and then we went to midnight mass at one of the beautiful old churches where there was always a huge creche at the front by the altar. These are but a few of the many memories (the “magic”) that I remember from my childhood and part of what has shaped my Christmas decorating style. This is week one of how I make Christmas special in my own home for my family. 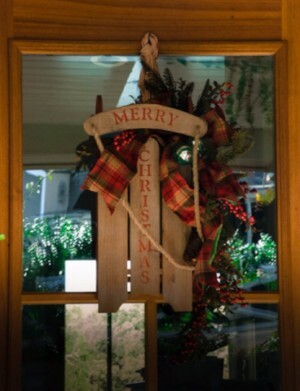 Your front door is your first chance to make your home welcoming. 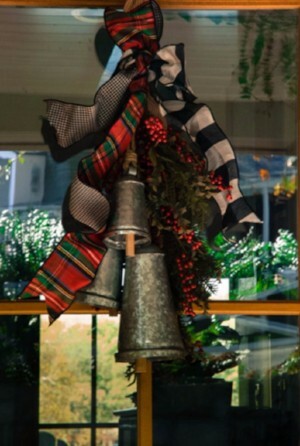 You can hang a traditional wreath or hang up something less traditional and more whimsical such as a sled or bells. Splurging on a custom flower arrangement for my front door was a good investment- it brings a smile to my face each time I pull in the driveway! Photos courtesy of Nell Hill's blog. Decorate the Expected and Unexpected Places! 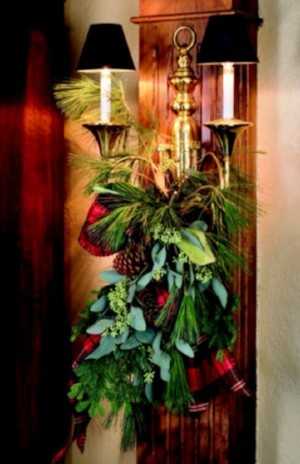 Try to find some unexpected places in your home to make more festive such as filling an urn or vase with pinecones, hanging swag from a light fixture or adding some touches to your bookshelves. 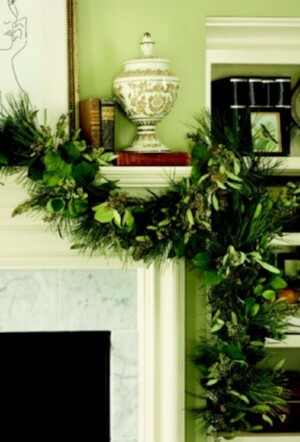 While most of us decorate our mantles each year, try swagging a garland onto nearby bookshelves. 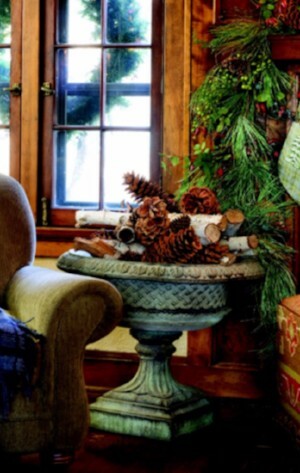 Unexpected touches can really help your home to feel cozier and more inviting. Watch for Part 2 of my Christmas series soon. 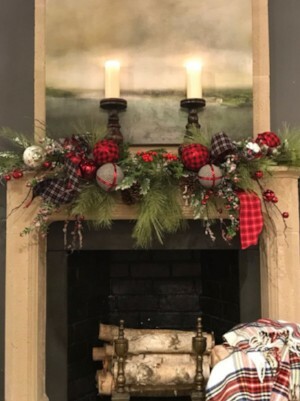 If you need help decorating your home for the holidays- JB Designs can help! Contact us today to learn more. All photos courtesy Nell Hill's blog.